On Wednesday the 9th, I lost part of me. I lost my best friend. She brightened my everyday and made me smile all the time. She unconditionally loved me back. 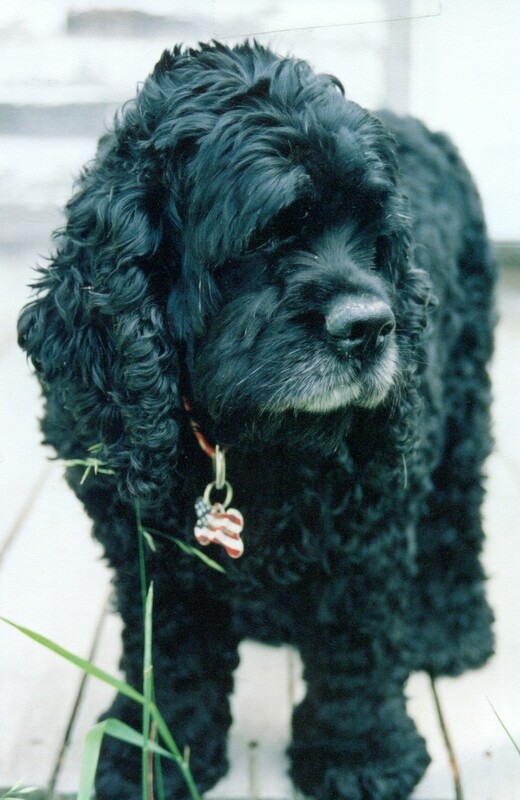 Isabella was 15, she is/was my black English Cocker Spaniel She was always there to talk to me. Yes she talked alot. She had been with me since she was about 8 months old. I had to make the sad decision to take that one last ride to the vet on Weds when she became unable to stand on her own. She had been failing over the past couple of weeks. I had made my mind up that I was gonna keep her happy and as comfortable as I could. This girl was the queen of the house. It was her domain. I was so hoping that when the time came she would lie down and just go to sleep. This holiday season has been a rough time for me for those who didn’t’ know. Early December I almost lost my mother. She hemorrhaged from her intestines. We managed to get her to hospital and it took 4 days to get her stabilized. She is doing well now. She is in rehab learning to walk and do for herself again. She was off her feet in the hospital for almost 3 weeks. So she has some work to do. The first weekend Mom was in the hospital, we lost her cat. The cat had sort of stopped eating and was only picking at things. She was 16. She had been with my mother since early on. She was a shelter rescue. They didn’t know for sure how old she was when we got her. She was constant companion for my mother. I think Mom not being there broke her heart. And then just after Christmas, Bella started to slide. I think on top of old age and complications of old age, she was lonely. In the whole time she was with me she was never alone for more than a few hours occasionally. I did everything I could to make her last days comfortable as I could. She stopped eating on Saturday and on Wednesday morning stopped drinking. by the afternoon she wasn’t able to get up on her own and she cried alot. It was then I realized that it was going to be best for her to go to the vet. It was really hard decision, cause this dog just loved being in this house. But it was the right decision. She is in better place now with no pain. Ok that is all – oh and btw – this is my baby. Over on our naughty blog “Petr and Tasty’s Big Adventure” we test out the new wingback chair from N4RS.